I’m not going to lie to you here. This recipe is one I made months ago and one I just never got around to posting. Unfortunately that happens more times than I care to admit. My intentions are always to get them posted right away but life happens and I don’t always follow through. 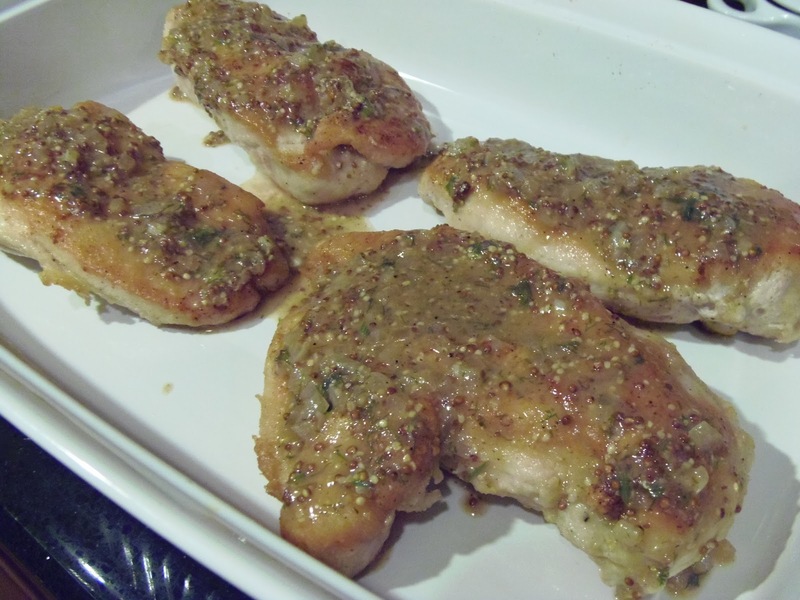 The photos of this recipe always are the first to greet me as I go through my photo files and I’m always reminded how tasty and moist this chicken was. Plus, I just love the way it looks (if I do say so myself). Today is the day I procrasinate no longer and I give to you (drum roll please)…. -In a shallow dish, spread out the flour seasoned with salt and pepper. 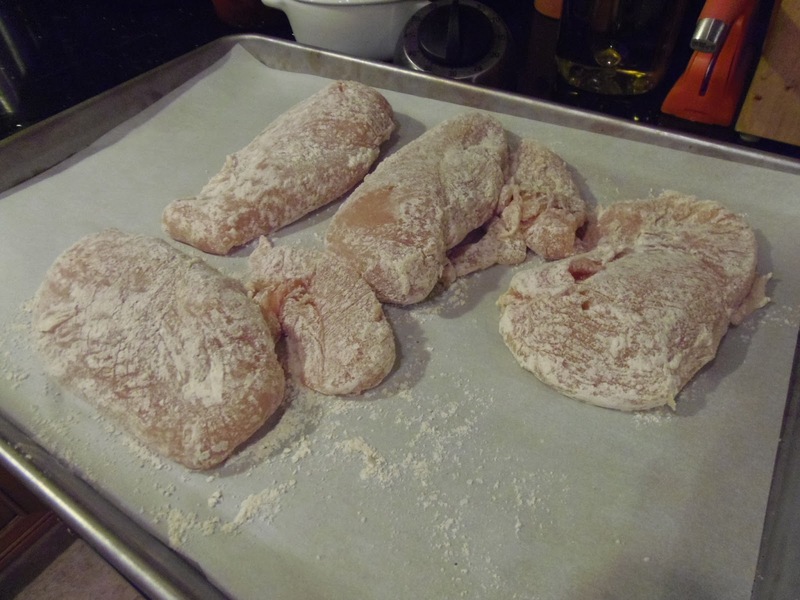 -Dredge the chicken in the flour, patting off the excess. -Heat 1 tablespoon of the oil in a large skillet over medium-high heat. 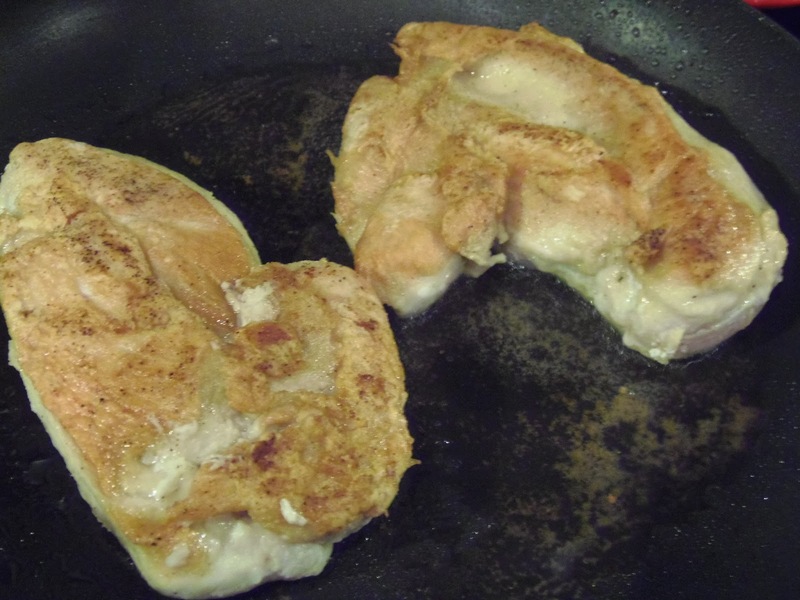 -Add the chicken breast and cook until nice and golden brown (approximately 5 minutes per side). *Do not overcrowd the pan. You may have to do this in two batches. 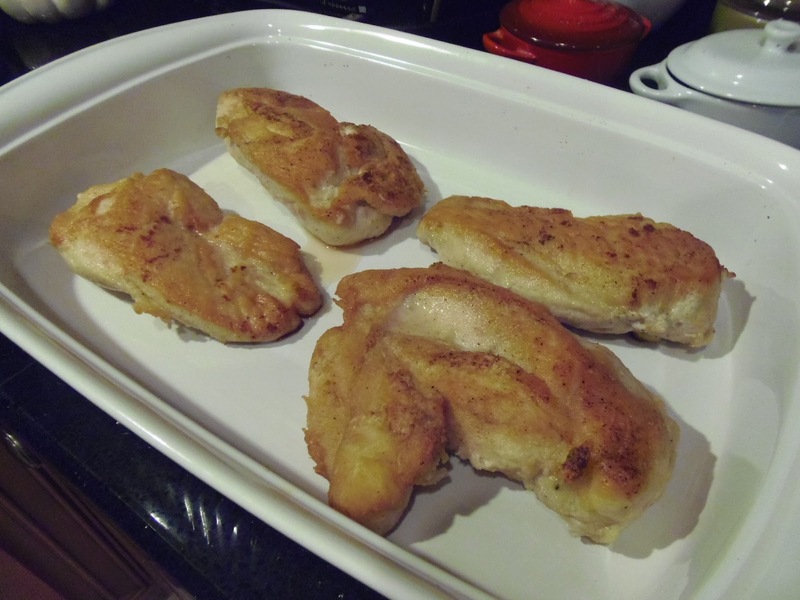 -Remove the chicken to a separate plate and tent with foil to keep warm. -Heat the remaining oil in the empty skillet, over medium heat. -Add the shallot and cook until softened (about 1 minute). 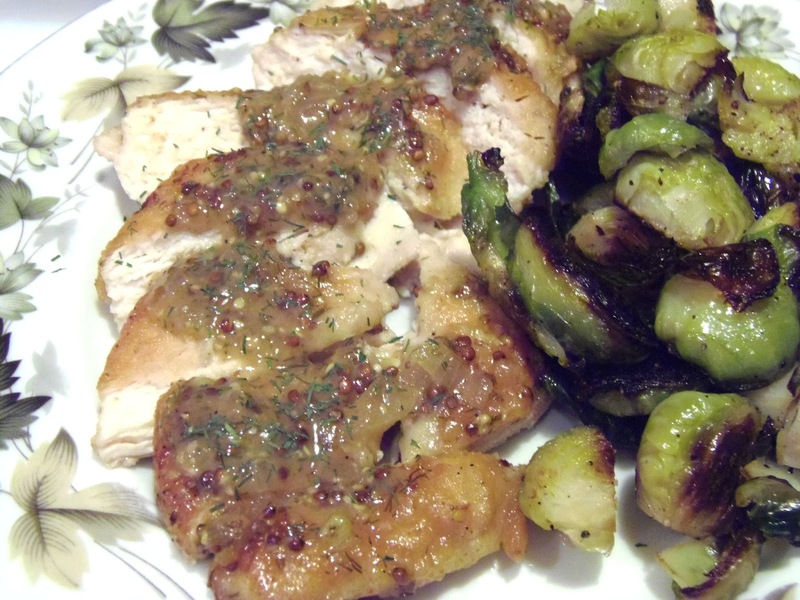 -Stir in the broth and the wine, scraping up any browned bits left over from browning the chicken. -Stir un the dill, butter and mustard. 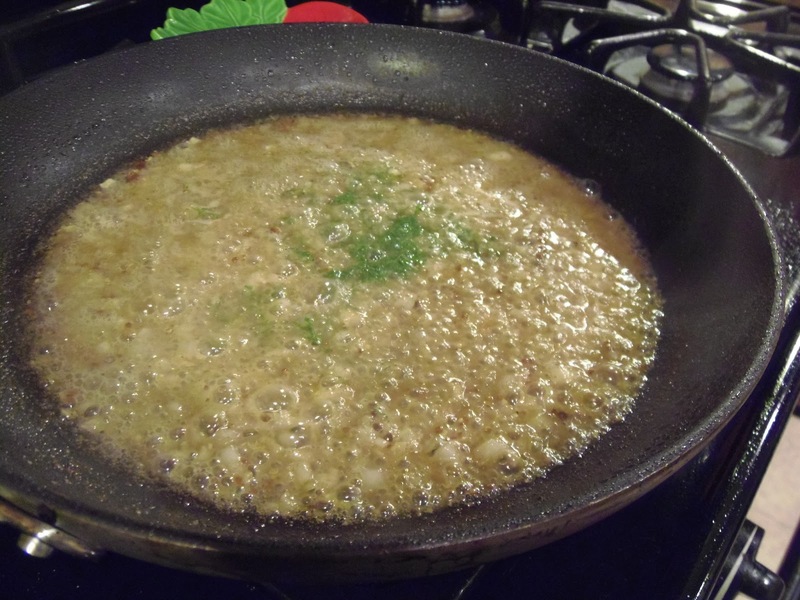 -Simmer until slightly thickened (about 8 minutes). 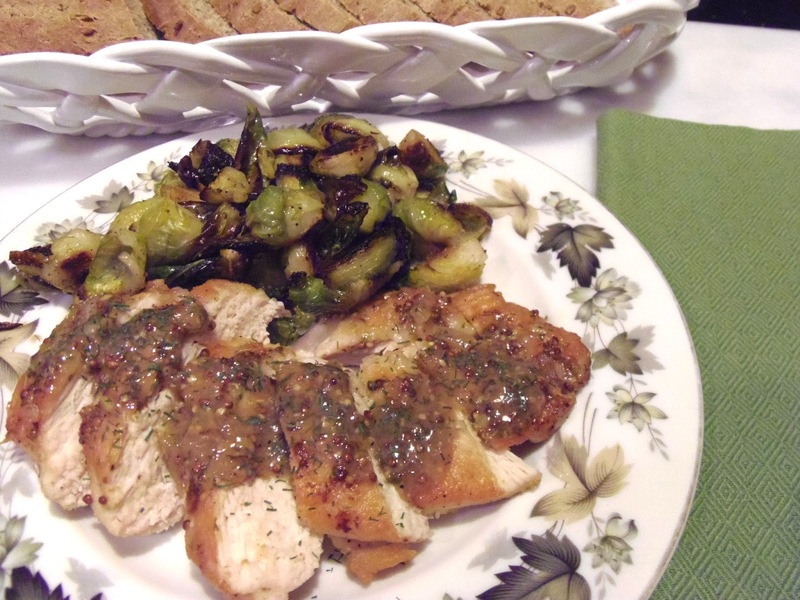 -Spoon the sauce over the chicken breasts and you’re ready to slice and serve! I served mind with some Oven Roasted Brussels Sprouts and a loaf the freshly baked Sourdough Rye With Dill Bread. It made quite a lovely presentation and one that I would be utterly proud to serve to guests. Best of all, it took hardly any time at all…but nobody has to know that but you!!! I'm glad that you found the time to post this. 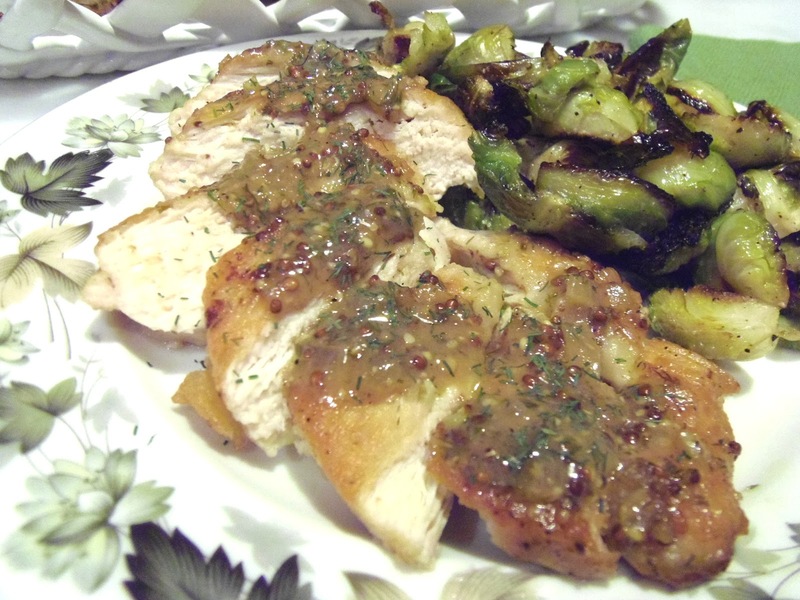 Loving chicken as I do, I'm always looking for new and delicious ways to serve it. This recipe fits the bill perfectly!